Are you looking for someone who has some of the greatest music we all have ever listened to? Someone who can always put a smile on your face? Someone who is beyond incredibly talented? Well, that describes the wonderful and phenomenal Josh Levi! Without a doubt, we all have the Levi fever and there is only one doctor who can make everyone feel a whole lot better just by hearing his sensational music; and it is of course, the outstanding Josh Levi! From releasing his terrific single “Doctor,” to his exceptional covers and magnificent YouTube videos, Josh Levi continues to keep all of his fans on Cloud 9 with his excellent projects. Josh Levi is one immensely talented musician who is everyone’s happy pill as he always continues to radiate his positive persona everywhere he goes! Josh Levi is always doing big things and he continues to take over the entertainment world by storm! 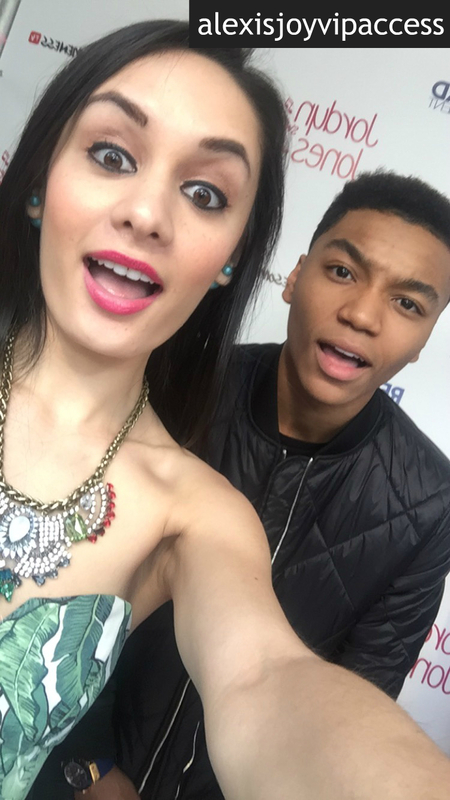 I, Alexisjoyvipaccess had an incredible time catching up with and interviewing again the extraordinary and fantastic Josh Levi at Jordyn Jones’ Sweet Sixteen! Josh Levi dished exclusively to Alexisjoyvipaccess all about his exciting, upcoming projects he’s working on, some special news about getting signed to a record label, his music videos he’s released with AwesomenessTV and so much more only in our VIPAccessEXCLUSIVE updated interview below. Josh Levi even sends out one awesome message to all of his excellent fans – hear what Josh Levi had to say in our VIPAccessEXCLUSIVE updated interview below. Thanks for another fun interview, Josh – always a blast speaking with you! Check out my updated VIPAccessEXCLUSIVE interview with the remarkable Josh Levi at Jordyn Jones’ Sweet Sixteen below! Previous VIPAccessEXCLUSIVE: Rio Mangini Updated Interview With Alexisjoyvipaccess At Jordyn Jones’ Sweet Sixteen! Next VIPAccessEXCLUSIVE: Alexisjoyvipaccess Covered The 2016 Young Artist Awards! Recap Here Plus See The Full List Of Winners!